Sangenjaya was my next destination in the South Western Quarter of Tokyo where the culture of the area leans away from the businesslike emphasis and the traditional temples and shrines. Instead we are seeing examples of the art and alternative culture side of this great city. A Fine example of the unique landscape separating the South West of Tokyo apart. This is on the road between Sangenjaya and Shimo-Kitazawa. There's a girl in his outstretched hand. 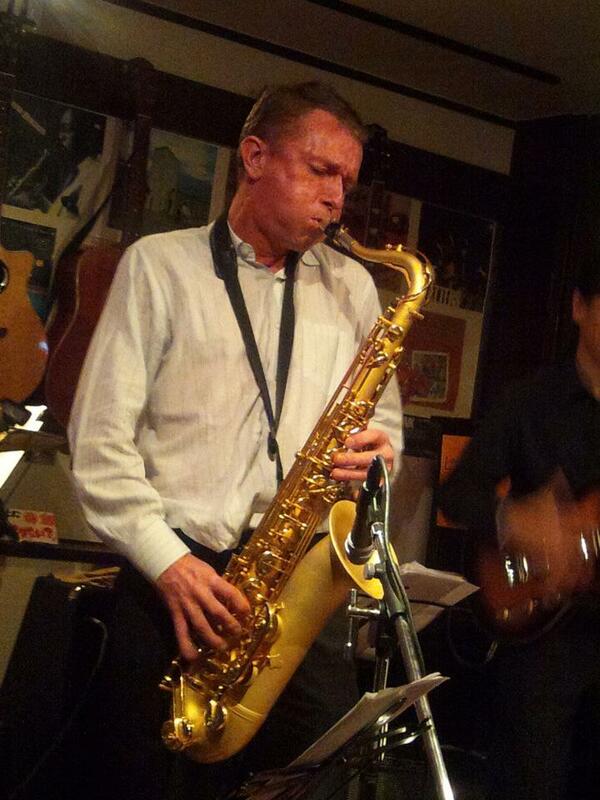 Not located too far away is Shimokitazawa where I have played many shows during my times in the country. 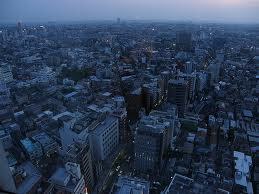 I regard Shimo as to Tokyo what Camden Town or Brick Lane would be to London. A mecca of venues and cafe’s and clothes and music shops. 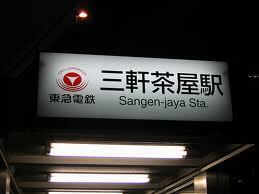 So Sangenjaya still has hints of that itself. 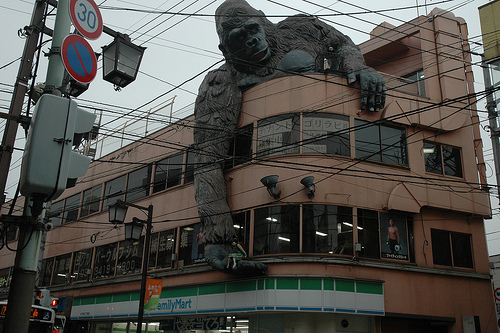 The venue is located on the very top floor of a building concealed behind the main parade of shops. It is owned by a very cool couple who love the bands and are actively musical themselves. This will be my 3rd time playing here and I feel so fortunate to have made friends with such a cool place. In side A-Bridge. On the stage behind where I'm playing is a lush view of the Tokyo Skyline. My set is prodominantly new material. Just one song from my 2nd and 3rd albums. This is my second time sharing the stage with Genz. They are signed to the label owned by the man who also owns the venue. On the whole I felt it went. After the show I was only my own trying to get back to my friend Callum’s place in Shimokitazawa. He was nice enough to give me a roof but unfortunatly I was not forward thinking enough to plan in advance. Despite being a reletivly simple trip with only a couple of train changes I nearly didn’t make it to my last train on time. Eventually I all turned out ok but despite how comfortable I think I’ve become travelling around the City. I can still VERY easily get lost. But that’s all part of the adventure. And so back at Toppers. A place run by musicians for anyone with a love for live music. A saviour for anybody in this field of work. For this show tonight I had the pleasure playing with Steve Marcotte on Bass, Graham Taylor on Tenor Sax and towards the end of the night we were also joined by Eiji Hayashi on keys. Below is a video of a song from earlier in the night of us as a trio performing a song from my 3rd album ‘Good Times With Evil’. This song is called ‘Sleep Tight’. Things became most interesting towards the end of the 2nd set when the script was thrown out and everything steered towards improvisation. Whenever it is I next tour Japan. I’d love to return there to visit and play to the wonderful community of musicians and music fans. Being on the road solo for the last 18 months has made me really appreciate the joys of sharing the stage with other players. Back in the UK I have been fortunate enough to work with such a wonderful cast of musicians who have made the live experience a joy and have made my records sound the way I`ve always hoped. This is no more evident than on my latest long player `Good Times With Evil` where we rehearsed and honed the songs intensely for days before recording the bulk of the record live in one day (Mostly in one take). 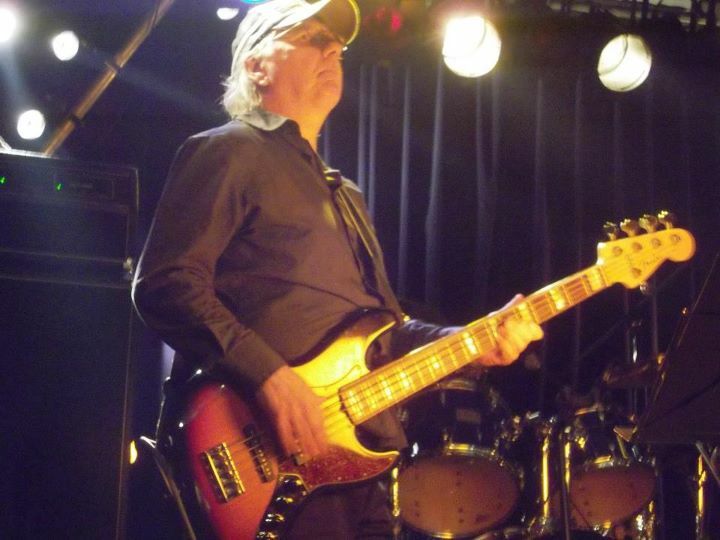 However my budget dictates that my tours abroad must be solo and so it give me great pleasure to be able to send some Kudos to some of the great players I`ve had the pleasure to share a stage with here in Japan. Graham was born in Oxfordshire UK and has travelled round the world playing professionally for years now. 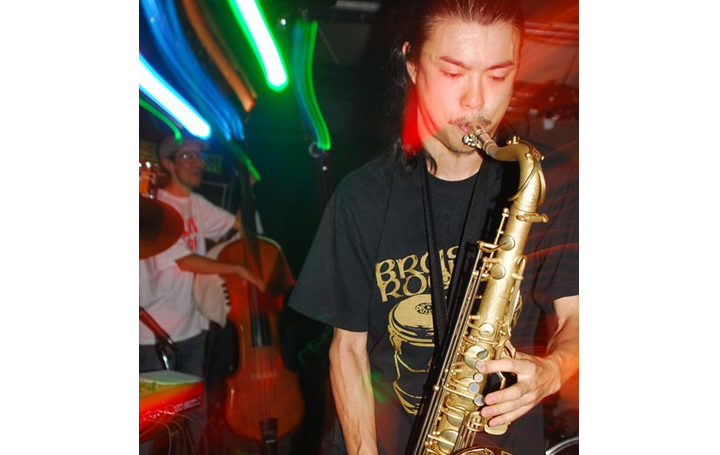 We first met in Chiba Bar Toppers where he introduced me to the awesome Japanese Jazz combo Soil & Pimp Sessions. His playing style is wonderfully expressive and It`s truly been a pleasure to share a stage with him on multiple occasions. 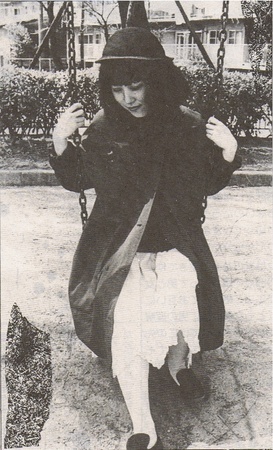 Eiji (Tony) was attending shows for a while before word got to me how accomplished he was as a keys player. He bought a copy of my 3rd album and a week later turned up to a show with score sheets he had notated from the record. He speaks very little English and I very little Japanese. But that matters little as the understanding is their in the music. It aaaaallllllll started with Adam. 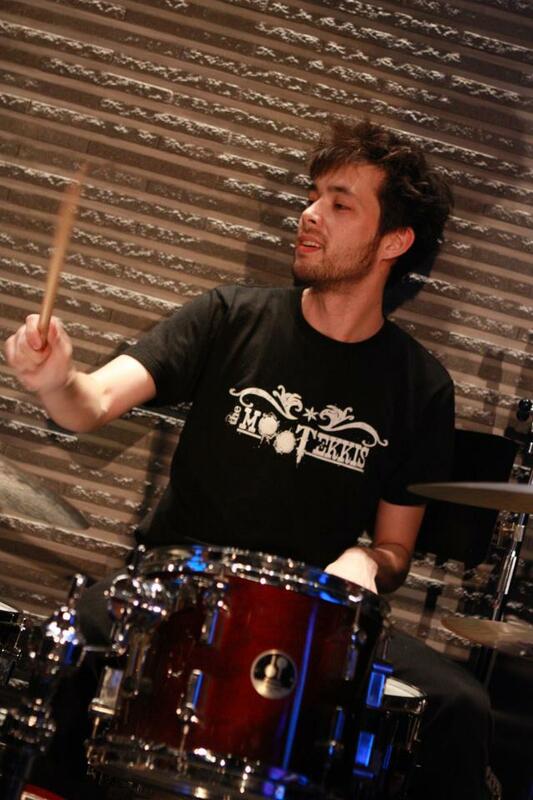 Back in 09 on only the second day of my first tour of Japan I attended an open mic night in Shibuya Tokyo where I put out an open invitation to any drummers in the building to jump on stage and get involved. Adam rose to the challenge and later I discovered he also plays Baritone Sax. So we`ve shared a stage many times since then. The Story with Shinya dates right back to 2007 in New Zealand. 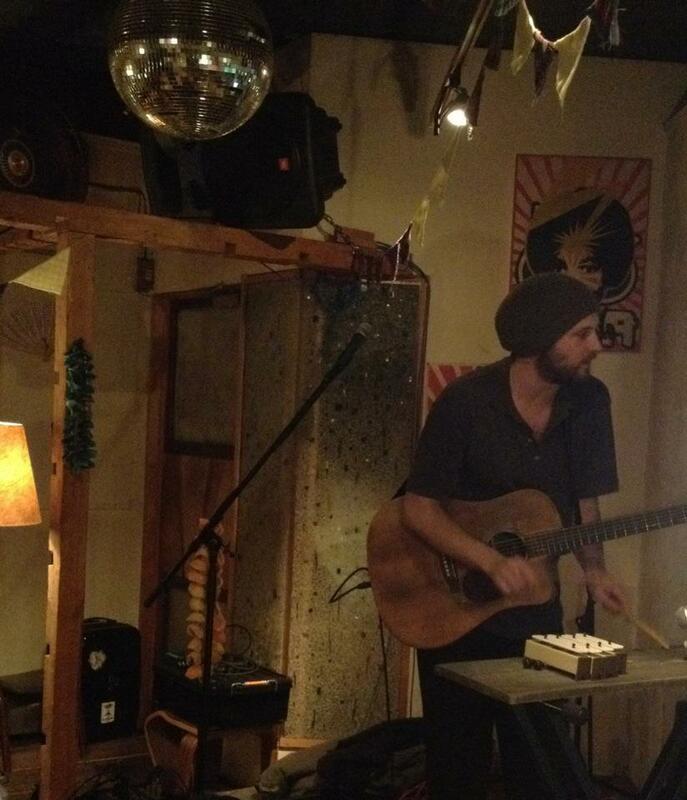 My first tour outside of the UK and I`m booked into a cafe in Auckland called 121. Shinya is working there and so prior to the show we spend the day hanging out drinking too much coffee and enjoying many musical tangents. Then we never meet again. 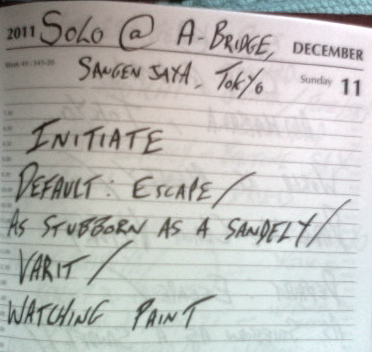 Cut to 3 years later and the first show of my 3rd Japan tour and who should be opening with a solo Sitar performance. The world works in mysterious ways and to meet Shinya again by chance warranted the sharing of a stage for sure. Where to begin??!?. 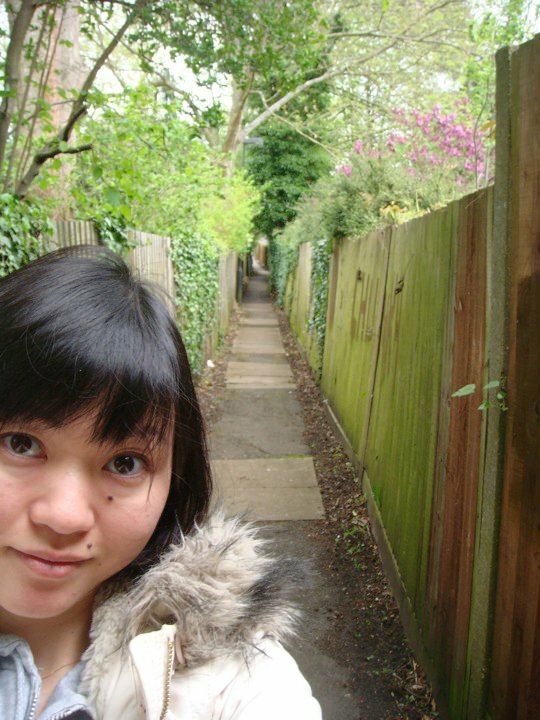 I`ve been a fan of Haco`s music for years and in late 2010 I was lucky enough to meet her and to play with her. We performed an improvisation show together creating 35 mins of ambience and psychedelic crazyness. One of the most affirming moments in my musical journey. Eric has been drumming for years and has many wonderful stories of his times kerouacing around the US with his many musical projects. 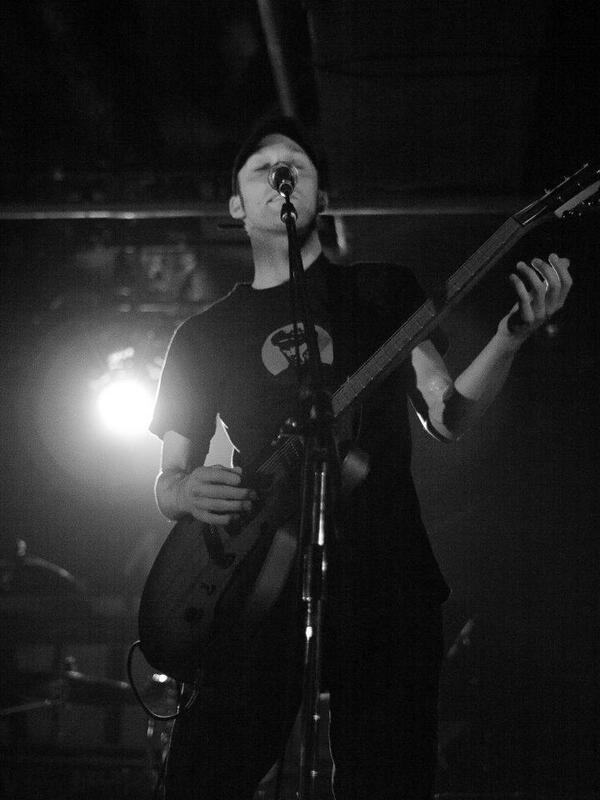 He has toured with and shared the studio with Gary Newman and members of Wilco and American Music Club to name a few. 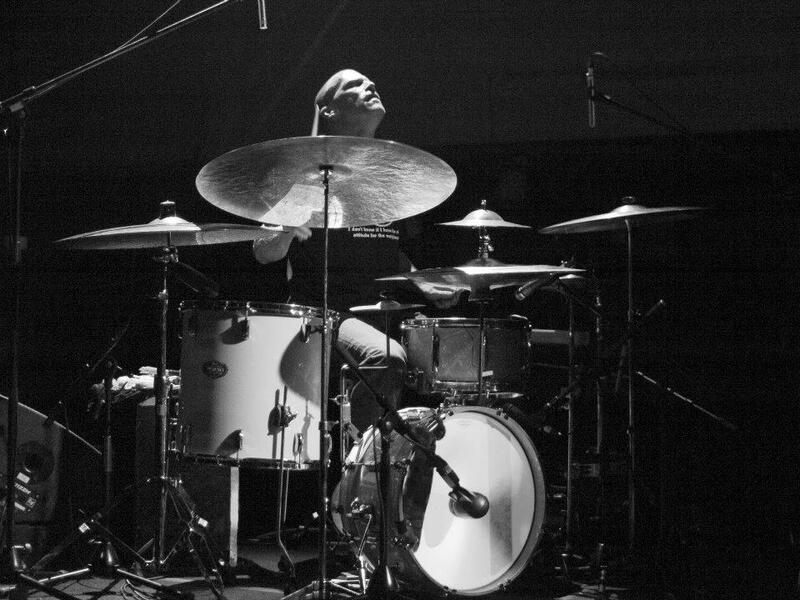 His style is unique and original as he dabbles with modern effects and geeks out over pre-war vintage drum sets. He is currently collaborating with Callum`s Whisky Tales and they are nearly finished with their debut album. 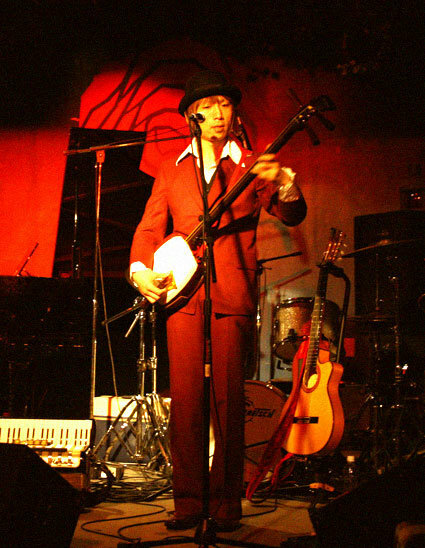 One half of NolenNiu-de-Ossi Yasushi is a master of both guitar and Shamisen. 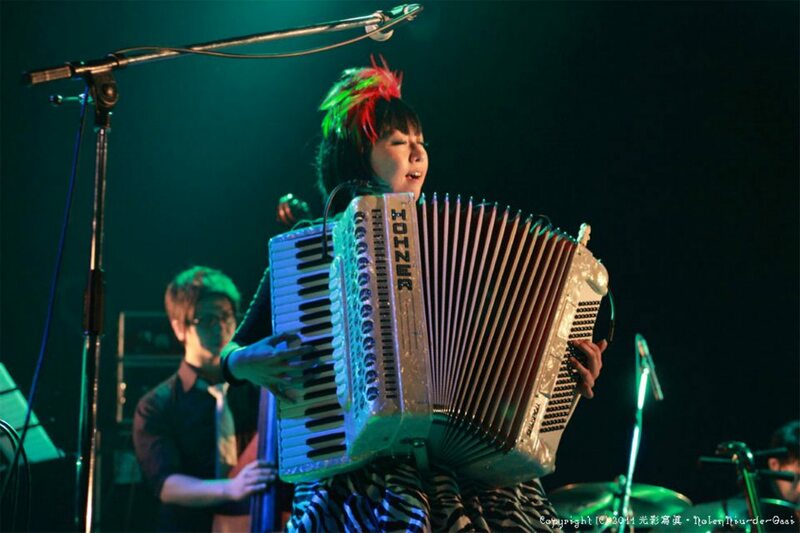 I had the pleasure of collaboration with these guys at the 2010 Kansai Music Conference. Since then we have played many times together in Kansai and I hope to one day see them come to the UK. The other half of NolenNiu-de-Ossi Toruko plays and sings with such character you can`t help but smile and relish the music. The perfect ying to the yang of Yasushi`s vocal and playing style. One of my favourite moments of performing last year was to play an impromptu street performance in Osaka with these guys. Legends!!! Always thrown in the deep end when we`ve performed together. Daniel is a member of Sorcha and the Sinners and Remedy’s Library and is one of the most tastful musicians I`ve ever heard. Respectful and communicative without words it`s no surprise that of all 4 acts who played the last show I did. All wanted Daniel in to accompany. 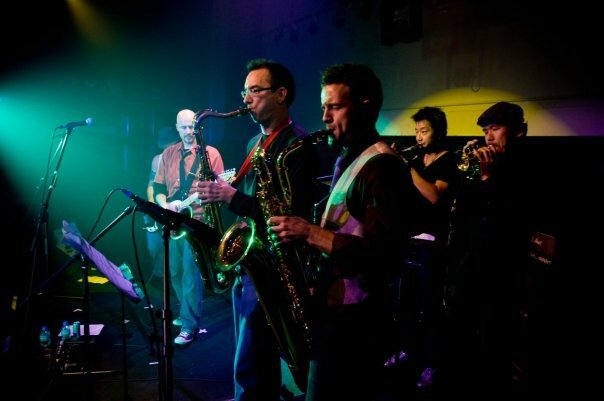 A member of the dub/ska/jazz band Riddimates You is so flamboyant with the Sax it`s just stupid. His live energy is as such that the audiences have been worked to a frenzy by You whilst I`m happy to hold it down and grin. 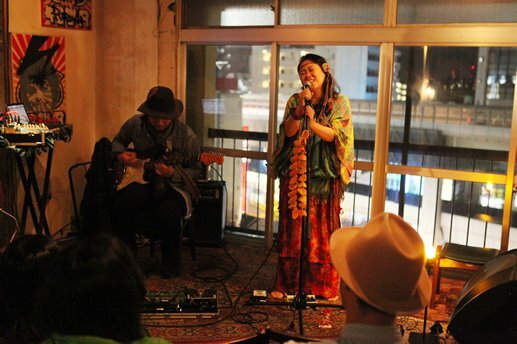 Touring in Kansai I played a venue in Osaka called Socio. The support band for the night were frankly terrible until they brought on a special guest. looking like the coolest mutha on the planet Yusuke sauntered onto the stage and turned the whole show around. I invited him to join me for my set and haven`t looked back. 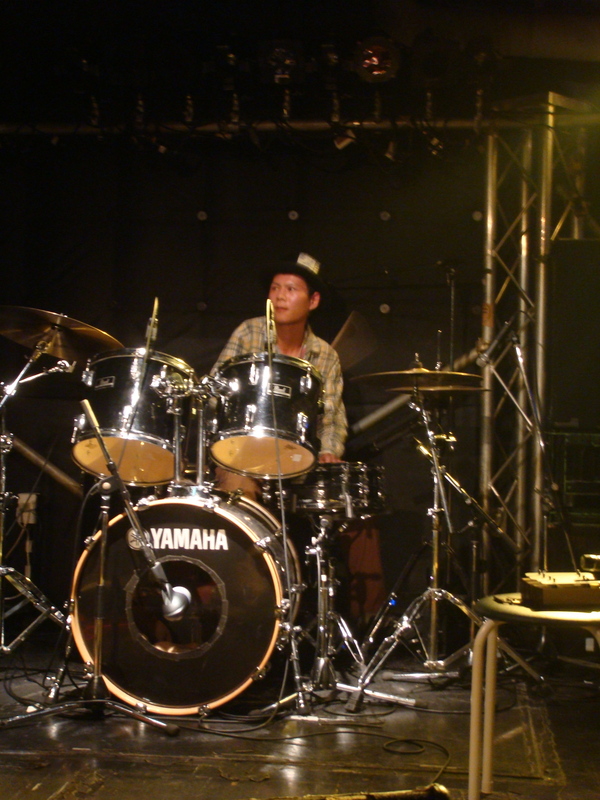 Everytime I visit Kansai I hope to jam with one of the most exciting and unpredictable drummers I have ever met. Chief Songsmith behind Callum`s Whisky Tales. 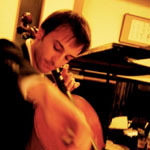 Callum Grant has become a great friend during my trips to Tokyo and to see his music grow and evolve has been a pleasure. During this tour we`ve finally had the chance to share a stage and to hear him adding inventive riffs and melodies to my songs has been a joy. Whisky`s a plenty to boot. Originally from Strasbourg France but currently living in Tokyo Robin was invited by super cool Music Cafe at night and Pet Salon during the day called Cafe Mignon to come and accompany me. He is a wonderfully accomplished player who worked has worked with many artists over the years. Check out his stuff here. 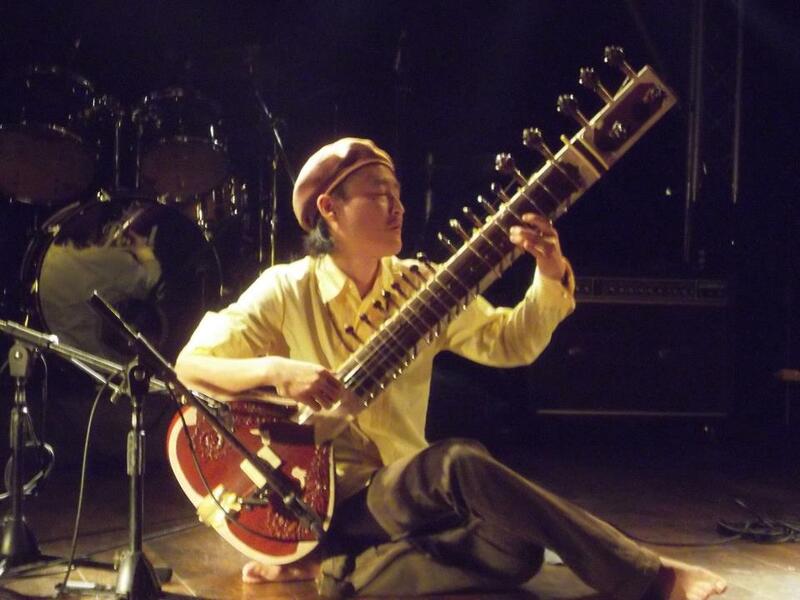 Shouichi Tomomori - Guitar, Omnichord, Flute. Shouichi is one half of the partnership who own Cafe Mignon in Tokyo. The cafe itself does so much to help rescue and re-house animals effected by the Tsunami last march. 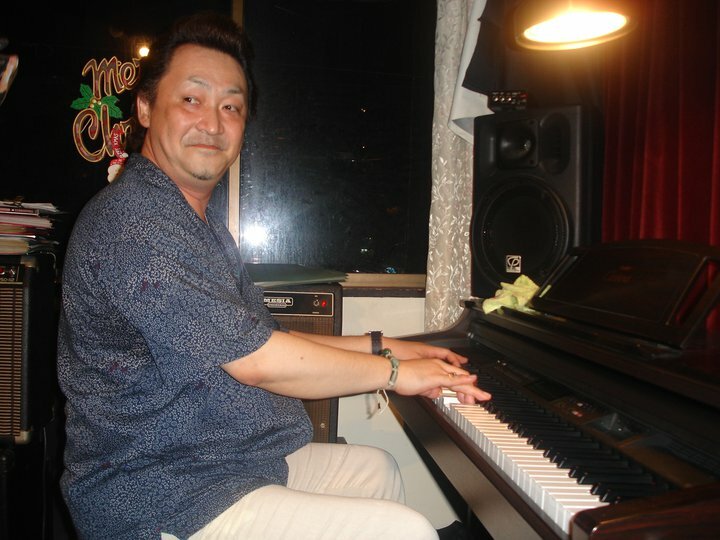 Shouichi himself is a wonderful musician who has been professional for many years now and can be found on random videos performing in arenas as a session player from many different popular Japanese artists. He stunned me with his ability and stunned even more when I discovered he has done his homework and nailed the full structures of the songs. Plus like many Japanese musicians. He`s ridiculously modest. Steve has been a friend and fellow music enthusiast for sometime and unfortunately it was only in my most recent tour that we finally shared a stage. 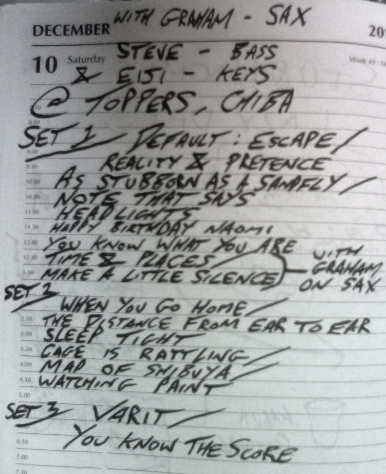 Despite minimal rehearsal and the last min addition of songs he`d never had the heads up on. He was still solid as a rock. And why not when you realise how much experience he has playing with bands in the US and Japan. It really was one of my favourite Japan moments to share a stage with Steve, Graham and Eiji as we forgot the script and strayed into wonderful and simple spontaneous jamming.